It’s almost the end of the semester, and while break is coming up, that also means final exams are approaching! 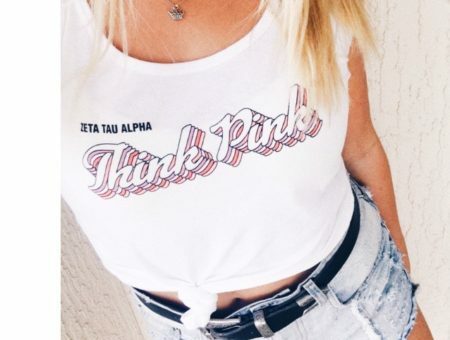 As every college girl knows, fashion is pretty much last on the list of priorities during exam time – who has time to pick out the perfect outfit when you might fail your biology final? And that’s how it should be. When you’re in college, fashion can’t come before doing what you’re there to do — pass your classes and graduate! 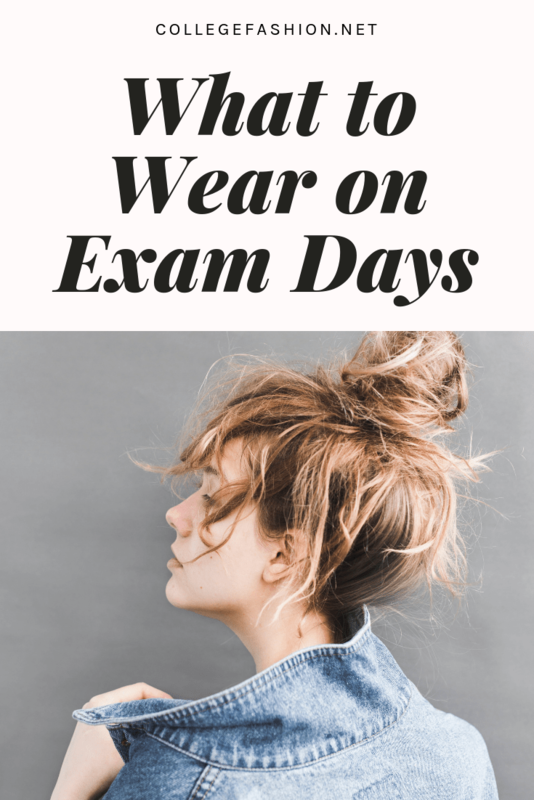 That said, I’ve received lots of emails and comments from readers who want some ideas on what to wear during exam week – outfits that are comfortable, stylish, and easy to put together when you’re pressed for time. I think I can help you guys with that. Just because you’re super busy, it doesn’t mean you have to completely abandon looking good. There’s definitely a middle ground; it just takes some planning. Here are my top tips for deciding what to wear on exam days. Plan your outfits out in advance. On the Sunday before exam week, put together a wardrobe full of basics for the days ahead – as if you were packing for a vacation. Look for pieces that all go together and could be mixed and matched in a bunch of different ways. That way, when it’s time to get dressed, you just need to throw on some clothes from that pile and go ace your exam! No extra worries. 3 pairs of bottoms – Rotate these every other day. You want to go basic here, nothing too crazy looking that would be hard to pair with your other clothes. I love mom jeans, a stretch skinny jean, and a basic legging. If it’s very warm where you are, a short of some type would work. (Bike shorts are comfy options that are trending right now.) Comfort is key – don’t choose anything you wouldn’t want to sit in for hours at a time. 1 or 2 oversized jackets and/or a hoodie! – Another staple for me. 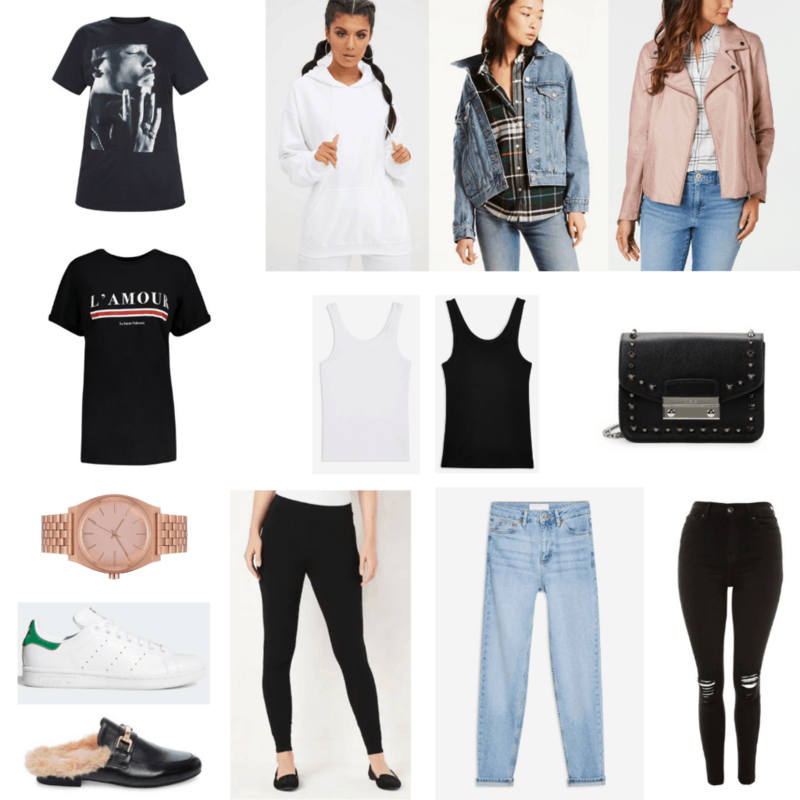 Oversized jackets are so chic and they dress up a plain tank top or tee. Even better, they keep you warm! I’m also a fan of a clean white hoodie as an alternative to the campus logo hoodie. You can even layer it under one of the oversized jackets. A simple watch – An easy accessory that will make a huge difference. If you’re going to be writing a lot or just bubbling in ScanTron sheets, having a bunch of bangle bracelets on your arm will annoy you and everyone else around you! Skip the bracelets and wear a simple watch instead. Sneakers or loafers – You want to make sure you’re comfortable and at your exam on time, so those 4 inch heels are out! Some chunky sneakers or loafers are on-trend options that are comfy and easy to wear. A small purse – If you’re just taking a test and don’t have any other classes, a small purse is the easiest option. Just bring your ID, money, phone, and some extra study materials. Less stuff to carry and less to worry about are both good things to have on exam days! Don’t wear anything you’d sleep in. 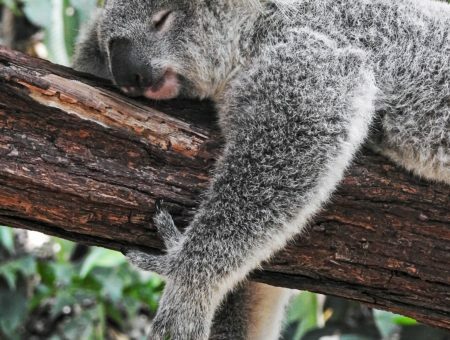 While I know it’s tempting to stay up all night studying and go to your final in the same sweats, you’ll feel more awake and ready for your test if you’re dressed normally. Going to an exam in your PJ’s might make it difficult to concentrate, not to mention that it’s definitely not a stylish choice at all! It’s no more difficult to throw on a pair of jeans before you go to your exam, and it will make a huge difference in how you feel during the test. Try it for yourself – I think you’ll be surprised at the results. The best tip I can give you for doing your hair and makeup during exam week is keep it simple. There are few times in your college career that are more stressful than exam weeks, and the easier you can make it on yourself, the better. Here are a few tips on how to look cute while still spending little or no time on hair & makeup during exam week. 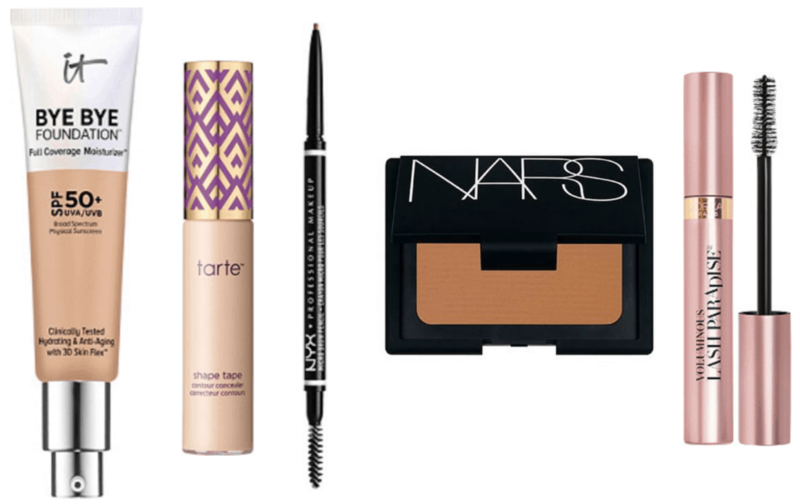 Here are my makeup essentials – this is all the makeup that I usually wear on busy days. Note: I have bad skin so foundation is a must for me to feel confident, but this is just what I do. If you don’t feel you need this much makeup, or you want to wear more than this, do what makes you feel best! Foundation – It Cosmetics Bye Bye Foundation is great for quick application. If I have an extra minute or two I instead apply my Holy Grail foundation, Revlon Colorstay. My advice is to skip the eyeshadow, eyeliner, lipstick, and complex makeup when you’re going to an exam! The goal is to look presentable without spending more than 5 minutes doing your face. Keep the complicated makeup for another time – after all, you have last minute studying to do! Your hair should be out of your face so when you’re working on your exam it doesn’t get in your way – I hate when I’m constantly trying to pull my hair back during a test! Again, skip complicated styles and go with something basic, like one of these easy hairstyles for college. You’ll be ready in a flash and won’t be fixing a complicated hairstyle all day. Another quick hair tip: don’t wear a headband if they can give you headaches. This happens to me occasionally and I wouldn’t want to be stuck wearing one during an important final. 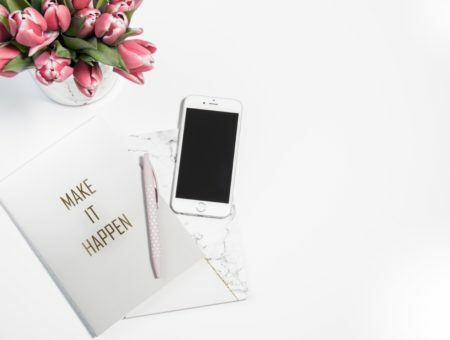 Hopefully this article will help make it easier to look cute without worrying about it, so you can focus on doing your best on all the tests you have to take. I know it’s obvious, but at the end of the day, what you wear during exam week isn’t as important as how you do on your exam. Good luck to all of you on your finals this year! Since most of you probably have exam week right now, what have you been wearing? Do you wear your pajamas to take exams, or do you wear jeans? Leave a comment and tell me what you’d wear. Editor’s note: This post was originally published in 2008; it was completely updated and revamped in 2019 with new photos and information.